Hope you are doing well…. we are having a great time here and the Hola team is amazing … so much has gone on since we got here!!! We are impressed with it all. We will try to get a picture of the workers with us tomorrow – if we can get them to stop for 5 mins. We bought pizza for the crew today – Serge and his wife joined us!!! It’s not going to be easy to leave on Sunday!!!!!!!!! We wanted to say a few words about our home built by HolaEcuador. 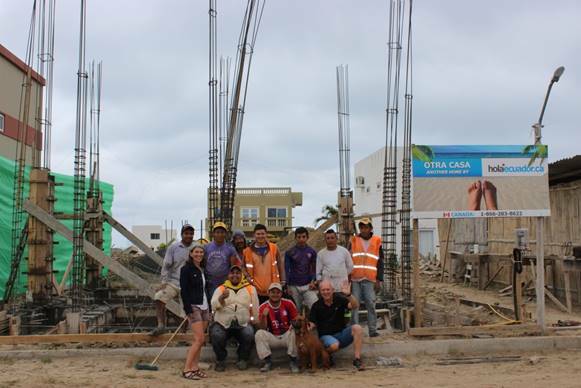 With the distance to our project in Ecuador, their team offered a constant support throughout the process. Ghislaine and I wanted to tell you about this company that deserves to be known. Thanks to all of the team. Our project is now finished after one year. On time and on budget. You see we bought our piece of land 3 years ago but decided not to build right away but look for a builder. 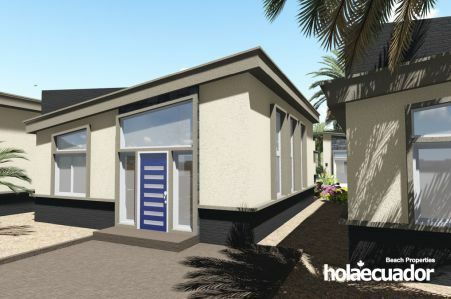 I researched for a year before coming to the conclusion that Holaecuador would be the best option for us as a builder. The communication was open and always available by phone or internet. They were able to answer all of our questions and concerns quickly and to our satisfaction. We did everything over the internet from the architecture of our home to picking out of the interior designs. This experience turned out to be very rewarding as all of our ideas were reviewed then put into action by the Holaecuador team that is very responsible both in Ecuador and Canada. 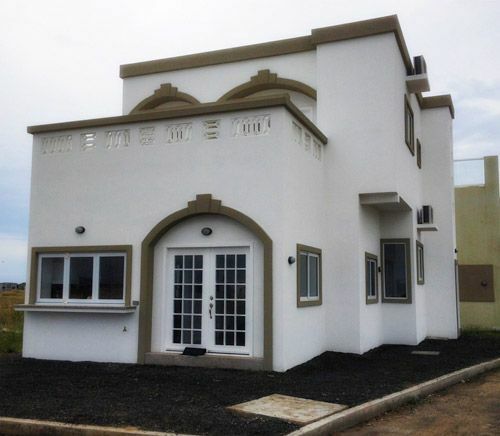 I found the team of builders and contractors to be very professional and knowledgeable in all their doings from putting up the structure to the laying of tiles, building of cabinets and the finishing stages including painting and installation of lighting. 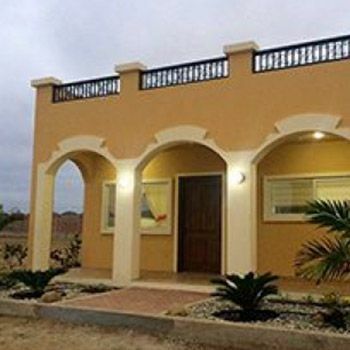 We had to go to Ecuador for the final inspection and take possession of the house. In Ecuador the final inspection involves having a walk-through which I found was very detailed and any problems we found were fixed immediately. I must say everything was pretty much in order and only very small fixes were called for. Taking possession of the keys was a thrill and being able to sleep in our new house was wonderful. The Mirador San Jose site is really moving along. Lots of trees, birds and new houses are on site. The weather could not be better and the ocean is right there, what else could you ask for? I like to walk south on the beach to the outcrop of rocks (is either old coral reef or volcanic rock….or both). I love to sit and watch the waves crash over the rocks. It is so easy to go out my door and get to this spot. It is so easy here to find places where you are all alone with nature. This is how I start my mornings. I sit on my balcony drinking my coffee and watching and listening to the waves of the incredible Pacific ocean. Then I go for a walk on the beach with my husband to check out what the tide has brought in overnight…there are always new discoveries. After our walk, I go back to our condo for breakfast on the balcony in the warm, soft morning air. It is a soulful start to my day that speaks to me a deep level. How did you hear about HolaEcuador? We heard about HolaEcuador for the first time in the newspaper, we then decided to attend the informational seminar in Brossard. What is the purpose of your project in Ecuador? 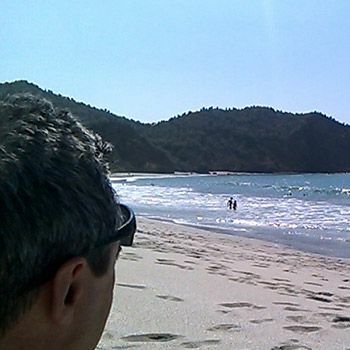 Our goal in Ecuador is primarily an investment project. But we also intend to spend some vacation time there with our family from time to time. What are the main reasons that made you choose Ecuador for this project? The climate and the cost of living have motivated us to invest in Ecuador. How did your family and loved ones react when they learned about your acquisition? Our relatives were curious and surprised initially, then they thought it was a good idea to have a residence in a warm country. What were the decisive factors in your choice to trust HolaEcuador? It was mostly due to the detailed information seminar, the research we did and the credibility of the representative from HolaEcuador who visited us later. What are the highlights in this experience so far? Our first visit to the Mirador San Jose, led by a representative of HolaEcuador. We met several members of the company, including engineers and others. We felt reassured and informed about future construction plans. We also enjoyed the availability of our representative throughout the whole process of our home being built. He was very dedicated and sincerely committed to providing an excellent service from the very beginning until the day of the inspection and he even did follow-ups afterwards. In doing so, on the day of the inspection, we greatly enjoyed the quality of the finishes and the courtesy of the local team! 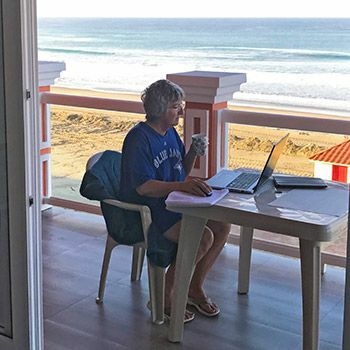 My husband and I had just come back from a surfing trip in Mexico, and I was looking for our next sunny destination when I came across some excellent Trip Advisor reviews of stays at one of HolaEcuador’s developments. The accommodations and grounds looked beautiful and were reasonably priced. At the same time, my husband had been researching options for retirement living and Ecuador popped up on many top 10 lists. We saw an advertisement in the Globe and Mail for HolaEcuador and decided to attend. After a few discussions with our Toronto Agent and some additional research, we were sold and we’ve been amazed with the level of service ever since! We have been working closely with our designer Josée who has helped us make some modifications to the floor plans, as well as the interiors. She is super responsive and understood our needs from the start. Every suggestion or change she recommended was reasonable and well thought out, making the process very easy! Being able to see the pictures of the build on a regular basis, plus the proactive check in’s from both Josee and Gord on the quality of the work has been very re-assuring. 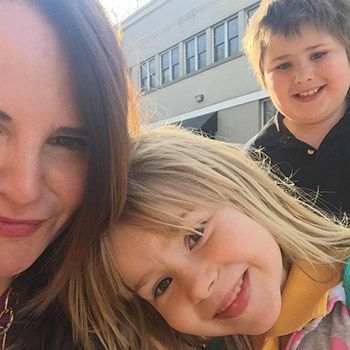 In the winter, my husband died unexpectedly due to complications from chemotherapy. I decided to proceed with the build completion on schedule to be able to live out our dream, with our young family and friends. 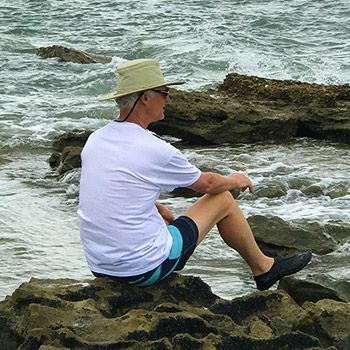 The HolaEcuador team was tremendously accommodating, supporting a video/picture possession of my home, as well as connecting me to a personal shopper, telecommunications specialist and insurance agent – allowing me to perform all of my transactions on-shore in Canada. 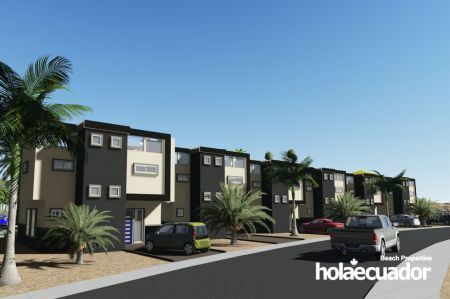 I would highly recommend considering a purchase with HolaEcuador at the Mirador San Jose development. We can’t wait for our first stay in January!! Our home is absolutely beautiful. You were right about the granite and bathroom tile. Things do look much different when you see them in person, sometimes pictures don’t do justice. We absolutely love all the tile flooring designs we chose along with the stair risers. We just returned from our two weeks at Mirador San Jose and we absolutely loved it! Our condo is even more beautiful than we thought and the view and the sound of the ocean are what we have always dreamed about. We have to pinch ourselves to know that it is real. Every day we spent some time walking on the beach, swimming in the ocean and collecting shells. There is nothing that is more relaxing and enjoyable in our opinion! The weather was perfect every day. We never used air conditioning as the breeze was all we needed. Thank you Gord for giving us this opportunity and working with us to make it exactly how we wanted it. We would not change a thing. Josée, a million thanks for all your patience getting the design and colours just right. Everything looks even more beautiful than the pictures. We already did a lot of shopping and will take our time to make it a beautiful, relaxing and comfortable retirement nest. Amelie, many thanks for your help and patience with the inspection. We are 100% certain that all the items needing attention/fixing will be attended to. The community is awesome. We already made some friends. I am so looking forward to furnishing my new home, spending my vacations there and finally retiring at a ripe young age because of this super inspired initiative. The process is extraordinary. Contract, payments, electronic communication and plans, photo website, patient personnel for questions : all your assets to being as successful as you are in satisfying a purchaser. We flew to Quito, Ecuador from Calgary on April 15. The new airport in Quito is delightful. It is very clean and easy to get around. 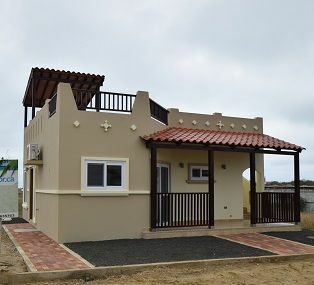 After an overnight, we flew to Manta and took a cab ride to Mirador San Jose to see our dream home close to the water. After we rested we walked to the beach. What a beautiful place that is!! The beach is pristine and all that we had imagined. Walking on the sand and listening to the roar of the waves at low tide was something out of a movie. I was mesmerized at all the wonderful shells, sand dollars and unique rocks to be found. That was my start to my addiction of beachcombing!!! They started to pave the main roads a couple of days before we left and it made such a difference. Also the main boulevards were full of weeds and looked very unkept but by the time we left a landscape crew had been brought in and turned the boulevards into a work of art with local plants and flowers. Both of these things really made an improvement to the look of the development. So on April 17 we were introduced to our dream home. It was love at first sight. It was obvious that Hola Ecuador prides itself in quality and superior workmanship with attention to detail. The dark kitchen cabinets and the granite counters really accent the open concept on the main floor. 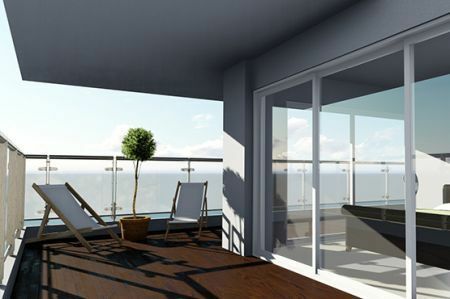 The 2 bedrooms on the second level are large and bright with a balcony where we will be able to enjoy our morning coffee. The view from the tiled top deck is second to none with the ocean in the distance. 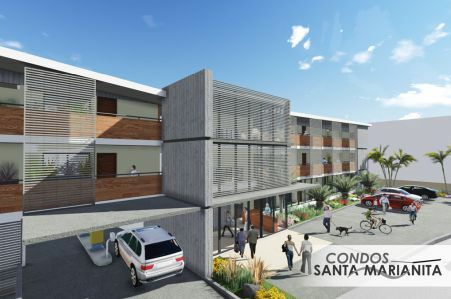 The location is ideal for us – we are a block from the pool area and only minutes from both the highway entrance and the ocean. A few times during the heat of the day some of the residents would get together for a game of pool volleyball. We really enjoyed the camaraderie. We took the bus several times to towns in the area. 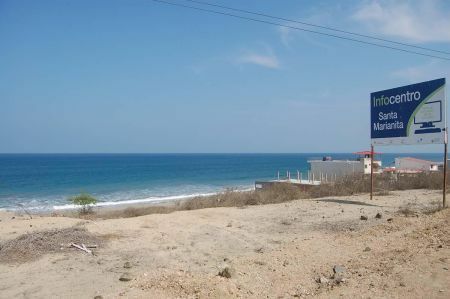 Puerto Cayo is only about 10 minutes from Mirador. The small town was quiet with quite a few thatched roof restaurants on the beach. We could get a large plate of local seafood for about US $5 and lobster meals for about US $13. The bus to Manta is a pleasant ride – US $2 per person. The local music piped into the bus makes a person want to get up and dance. The return trip from Manta through Jipijapa was interesting, mind you there were times we had to close our eyes as the bus flew around corners overlooking the deep cliffs. There is lots of interesting vegetation which was refreshing because it was quite dry and brown as we got closer to the coast. One of the highlights of the trip was a visit to a huge local market in Manta. You could buy anything in the way of fruit and vegetables for very little. I bought a papaya the size of a watermelon for US $1. There are lots of trinkets and hand made clothing for sale. The market was crowded but it was interesting to explore and feel part of the culture. We spent a couple of days hunting for furniture for our dream home. There is a wide variety of custom hand made furniture which we can order with ornate designs or plain depending on what a person fancies. The hand made furniture is very reasonably priced and all that we saw were beautiful solid wood pieces of art. Anyone can send a drawing by email of what they want and they will confirm if they can make it and the cost. Of course we can also purchase furniture from large box stores. We have nothing to say other than wonderful things about our experience. We felt at home with the locals who were very friendly and treated us well. We are lucky to have had the chance to be part of this wonderful country and its people. We look forward to return to our new home in the fall to get away from the Canada’s harsh winters. Although the development is in its early stage we can see the potential. In ten years the development will be spectacular and there is no doubt that it will be one of the top destinations to live in South America. Because of HolaEcuador we are part of this amazing new adventure.